The Horton 229 wasn't put into mass production before conflict in the European Theater concluded, captured prototypes were crated up and shipped back to the US. Although its existence was publicly known, its capabilities (range, stealth profile, blueprints and prototype pieces) were classified and heavily guarded until very recently. 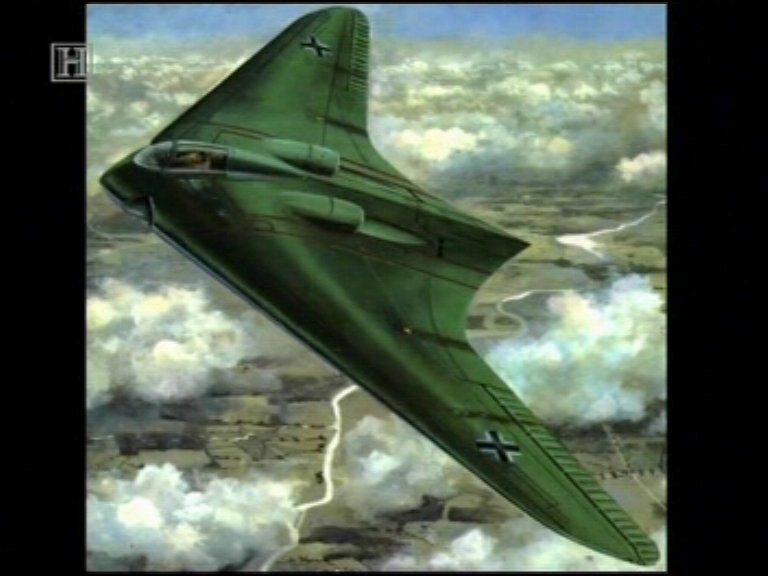 I saw a documentary on the secret aircraft of the Luftwaffe some years ago and the program was concluded with the Ho 229 and the bomber variant, the Ho 18. It was estimated that it had at least the one way range to reach the Continental US from Germany. Coupled with the fact that Nazi Germany was dangerously close to producing Nuclear weapons, we got exceptionally lucky in the closing days of the European Theater. Although I was unable to locate a reference, it is highly likely that the Ho 229 and Ho 18 strongly influenced the B2 Spirit. Not to mention that people at Northrop Grumman, the same company responsible for designing the B-2 Spirit, have built a full scale replica of the Ho 229.